From bale to retail, Australian Wool Network & Merino & Co is committed to connecting consumers and growers by highlighting the origin of each of its products, providing customers with the opportunity to learn more about the provenance of garments and forming part of the Direct Network Advantage (DNA) program. Each garment boasts a QR-enabled DNA swing tag that showcases the woolgrowers who contributed to the making of the garment, their sheep and the environment in which the wool was grown. Australian Wool Network (AWN) & Merino & Co is Australia’s only wool marketer with it’s own Australian based knitwear manufacturing facility and combined retail presence. In 2014 and 2016 AWN purchased two Melbourne-based knitting manufacturing businesses, Hysport Pty Ltd and Hedrena Pty Ltd along with their Australian merino wool clothing labels MerinoSnug and Hedrena. Prior to purchase these businesses were family-owned and produced high quality fashion garments for the domestic retail market. 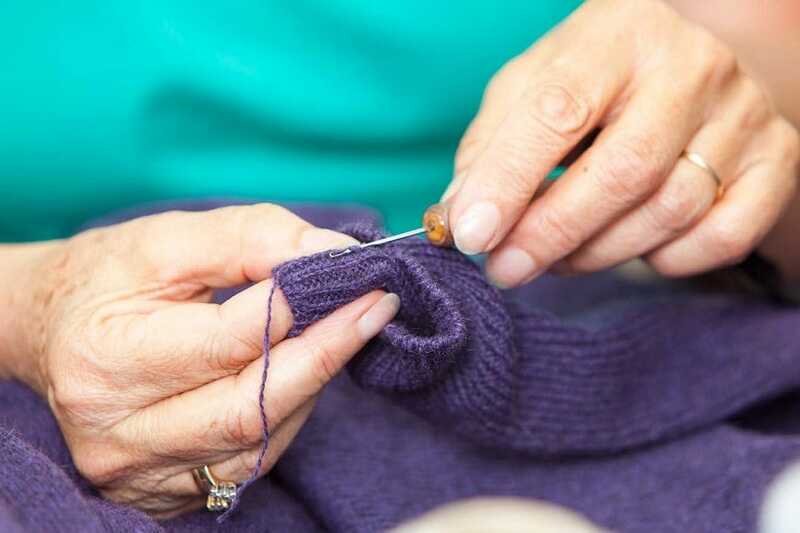 The facility based in Melbourne, Victoria, utilises state of the art Wholegarment® knitting machines to produce luxurious natural fibre knitwear garments and homewares made of AWN wool or blends of their wool together with other natural fibres. AWN’s Direct Network Advantage (DNA) products, made under the MerinoSnug and Only Merino labels, are also designed and manufactured at the facility using these Wholegarment® knitting machines. Wholegarment knitwear is produced in one entire piece, threedimensionally, directly on the knitting machine. The technology significantly reduces post-production, that would otherwise require highly skilled sewing labour - something that is difficult to source here in Australia. The end product is seam-free knitwear that provides superior comfort and freedom of movement. AWN woolgrowers contribute to the making of luxurious wool knitwear, next-to-skin natural lifestyle clothing and homewares. Our factory outlet store is located at our Melbourne manufacturing facility and is open to the public. Call our customer service team on 03 9786 1113 to confirm opening hours.